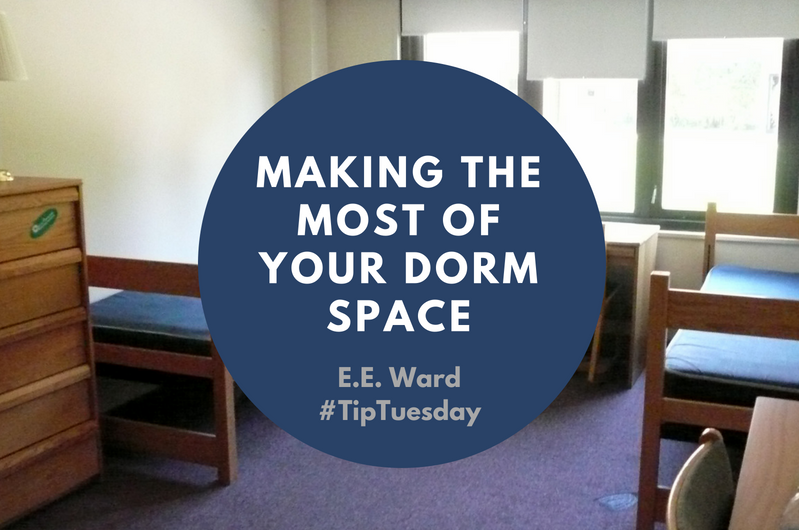 Dorm rooms are small and have limited space, especially when you share a room with one or more roommates. It can be difficult to know how to utilize such a small area. Here are some tips on how to make the most of your dorm space.1.Store things under your bedIf you are able to, loft or raise your bed to allow for space under your bed. Space under your bed can be used to store your items in a place where it will be out of your way.2. Get stackable storage binsIn a dorm room, you have more vertical space than horizontal space. Opt for narrow, stackable storage bins. These will allow you to store your belongings while not wasting any floor space.3. Choose furniture that doubles as storageIf you are looking to get a chair or seating in your room, use stools or chairs that double as storage space. This is a way to kill two birds with one stone.4. Utilize your doorAn over-the-door organizer can be used to hold shoes or other small personal belongings. This is another way you can reduce the use of floor space.